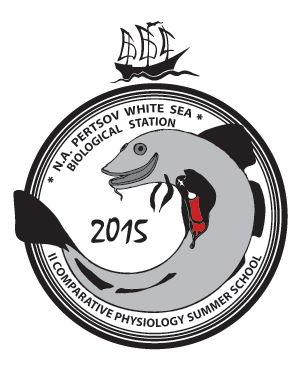 N.A.Pertsov White Sea Biological Station of Lomonosov Moscow State University (WSBS MSU) invites master students, PhD students and young post-docs to take part in the forthcoming Second summer school on comparative physiology (31 August – 15 September, 2015). Modern animal physiology is believed to be the theoretical basis of medicine the majority of physiology courses are focused primarily on mammals. However, studies in comparative physiology dealing with a diversity of vertebrate and invertebrate animals explore the evolution of physiological functions and allow one to understand fundamental physiological mechanisms. The aim of the White Sea Comparative Physiology Summer School is to demonstrate the application of established experimental methods for studying physiology of marine fishes in a small focused teaching environment. Technical and practical skills will be taught alongside lectures on various aspects of comparative physiology with a focus on the cardiovascular physiology. In addition to the scientific program WSBS MSU provides a unique opportunity to explore beautiful and severe nature of the Russian North and to experience and enjoy Russian culture and traditions. The First school, which was held in 8-22 September, 2012 (for details see: http://en.wsbs-msu.ru/doc/index.php?ID=124 ) was a resounding success, encouraging us to organization of the Second school. Please note that participants are not required to pay a registration fee – the School is free for all accepted applicants. .
1. Whole-cell patch clamp registration of ionic currents in isolated cardiac myocytes from cod, navaga or sculpin (4 days). Instructors – Dr. Matti Vornanen and Dr. Jaakko Haverinen, University of Eastern Finland. 2. Confocal calcium imaging of isolated cardiac myocytes stained with fluo-4-AM fluorescent dye (4 days). Instructors - Dr. Holly Shiels, University of Manchester and Prof Ed White, University of Leeds. 3. Intracellular registration of action potentials in isolated atrial preparations from cod and mouse using sharp glass microelectrodes (2 days). Instructors – Dr. Denis Abramochkin, Lomonosov Moscow State University and Prof Mark Boyett, University of Manchester. 4. Long-term ECG registration in conscious unrestrained cod (2 days). Instructors – Dr. Vladislav Kuzmin, Lomonosov Moscow State University, Adam Keen, University of Manchester. 5. Measurement of mitochondrial respiration rate in permeabilised cardiac fibers and isolated mitochondria from cod (2 day). Instructors – Dr. Gina Galli, University of Manchester, Dr Jonathan Stecyk, University of Alaska. Students will work in small groups of 3-4 persons, each group will pass through all of 5 experimental tasks. The course itself is free for all students, whose applications were accepted. Accommodation is free of charge for all accepted students. WSBS provides dormitory rooms for 4–6 persons. The full-board meal plan is obligatory for all persons living in dormitories. Full-board consists of three meals a day and costs about 400 RUR (≈6 €) per day. Payment must be done in Russian Roubles (RUR) directly at the Station. There are no shops at the station, however some goods may be purchased from Kandalaksha town and delivered to the station in 3-4 days. Please, indicate your food limitations (no meat, no alcohol, etc) in the application form. Vegetarian options are available, however there is no halal and kosher food. Welcome party, farewell party and one more party during the school are free of charge for all participants. It is a unique chance to taste traditional Russian dishes and beverages. All students enrolled in the class are obligated to have personal medical insurance including medical evacuation coverage. It is a personal responsibility of each participant, the cost of insurance is not covered by the Organizing Committee. The doctor will be on duty at WSBS during the school, however participation is strictly not recommended to people suffering from serious chronic illnesses. Both Moscow and Saint-Petersburg have international airports. It is recommended to travel via Moscow, but in some cases Saint Petersburg is more convenient. The most suitable way of travel from Moscow or Saint-Petersburg to Kandalaksha is by train. The second class round trip Moscow-Kandalaksha-Moscow fare is approximately 18300 RUR (≈260€), the third class fare is about 8000 RUR (≈115€). Free bus transfer from Kandalaksha to Poyakonda and back will be provided by Organising Commettee. The train tickets are purchased by Organizing Commettee. Participants should pay for these tickets in cash (Russian Roubles) after arrival at WSBS. Note, that the Organizing Committee is not able to cover the travel cost. Boat from Poyakonda to WSBS will be arranged for all participants for free. Organizing Committee will discuss the details of trip with each participant and try to advice the most suitable and cheap options. International students are required to have entry visas to travel to the Russian Federation. Russian entry visas can be obtained at local Russian Embassy or Consulate. The cost of visa is not covered by the Organizing Committee. All supportive materials needed for visa application will be sent via express mail upon acceptance to the school. Complete applications should be sent to the following e-mail address: abramochkin340@gmail.com with the following subject line: “Physiology summer school + your last name”.